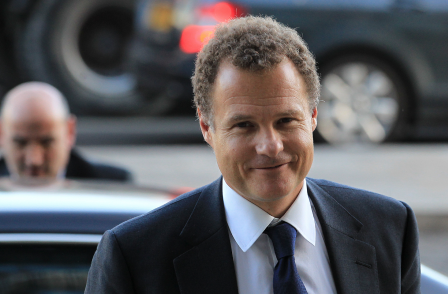 Daily Mail owner Viscount Rothermere is expected to launch a bid to buy the remaining voting shares in the newspaper’s parent company the Daily Mail and General Trust (DMGT). According to Sky News, the DMGT chairman will table a deal to buy the remaining 11 per cent of voting shares he does not already own, strengthening his grip on the company. Sky News reports that the bid will be made “in the coming days”, with an announcement to the stock exchange imminent. Last month, Rothermere Continuation Limited (RCL), Rothermere’s holding company, increased its ownership from 59.9 per cent to 89.2 per cent of voting stock when it acquired the shares previously owned by the Viscount’s uncle, Esmond Harmsworth. At the time, it offered to buy the remaining voting shares, held by other family members and nominees. RCL has been given a so-called ‘put up or shut up’ deadline of 23 August to make a definitive offer for the remaining shares, under the rules of the supervisory Takeover Panel. According to Sky, the move to tie up the remaining shares has been described as “a housekeeping exercise” by insiders. DMGT’s newspaper business includes the Daily Mail, Mail on Sunday and Mail Online, as well as a stake in regional publishing group Local World. The company also owns online recruiter Jobsite, business information group Euromoney and event organiser Adtech.